The Food and Nutrition Service (FNS) is one of the more corruptly administered government agencies, at least as to how they treat small businesses and how DHS uses FNS as a tool to split families apart. Their computing methods make impossible for small business persons to get any kind of aid, even though many have paid into the system for years with their taxes. the result is often a business may have to close, laying off persons just so the owner can provide better for their family. IS THIS JOB FRIENDLY? OF COURSE NOT!! As well the Department of Humans Services also uses the FNS as a tool to break apart families by hanging out the "carrot" of a Food Stamps Card if one separates from their spouse. I personally was a victim of this ploy, as well I know of several others that live separately or incognito as per DHS just to qualify for FNS. I had to leave my well established and reasonably profitable aquarium maintenance business a few years back to take care of my family (with THREE special needs kids!). The last few years have not been kind to my family income and in many other ways, so I found myself finally asking the very morally bankrupt FNS via the State of Oregon for help only to be turned down for food stamps with a take home income of $1500 per month. For some strange reason the State of Oregon figures my income without accounting for my cost of goods or expenses for my work at home business, what the corrupt FNS allows would only be true in a business run by the mob! I was a business major in college and can see nothing logical about their computing methods. And to make things worse all the persons I have contacted have been condescending and rude (such as Gregg Walden's Office)! During this time, Found myself resigned to living off credit cards for how ever long they would hold out! I have always paid my full balances up until now. I would not even have been in this situation looking for help if Good Men/women stood up and helped us several years back during my wife’s severe bout of postpartum depression, son’s autism diagnosis and what eventually happened to my daughter. I think it is time for persons in our over reaching government to stand up and do what is right instead of looking the other way and stating that they care for the cameras. Does the FNS or Oregon care? Of course not!! The state of Oregon and especially the Governor should be ashamed of themselves. Sadly with the Obama Administration and the backward "give me" thinking that is the Occupy movement, I seriously doubt the light will go off in any one with any type of authority to fix this problem. In summary, with the lack of any business experience or what it takes to run a business in Washington DC or with our bafoon of a Governor who pretends to "care" here in Oregon, this problem likely will only get worse. 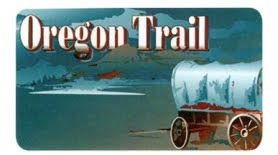 Nothing is more disgusting than standing in line at the market to buy groceries I am paying for with money from collecting cans at 4 am, while a drug addict in line in front of me pulls out an Oregon Trail card; UTTERLY DISGUSTING!! Where is integrity any more?